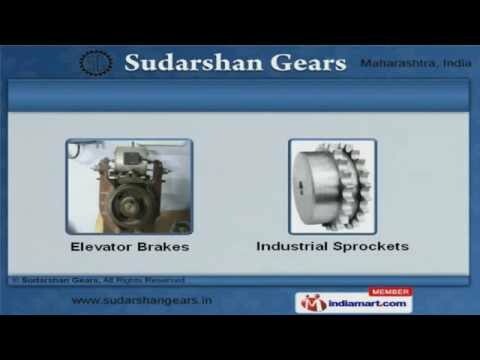 Welcome to Sudarshan Gears, Manufacturer and Exporter of Gear and Gear Boxes. The company was established in 1983 at Mumbai. Our products are applicable in Textile, Paper, Automobile and other industries. Elecon Engineering Company Limited and Mukund Limited are some of our prestigious clients and we are backed by Supreme quality packaging and efficient logistic support. We offer a huge gamut of Worm Gear Boxes, Spiral Bevel and Pinion Gear. Industrial Brake Motors, Helical Spare and Crane Duty Gears offered by us are superior in performance. Our Elevator Brakes and Industrial Sprockets are best in the industry amongst others. We also provide Mechanical Screw Jacks, DC and AC Solenoids that are acknowledged for their functionality. We are known in the industry as the manufacturer of Power Jacks and Geared Motors for Cement Plants. Our Helical Gear Boxes for Textile and Worm Gear Boxes for Engineering Industry are a class apart.